How big is the mobile gaming industry in Zimbabwe? When you ask that you’ll get people scratching their heads trying to figure out if we have an industry like that to begin with. It’s very clear, gaming hasn’t been explored extensively in Zimbabwe. The start-up space is chock-a-block with “serious”, well to do solutions that solve the most fundamental of business needs. I have not personally come across any mobile games made in Zimbabwe even though I believe there are some that may be in the developer circles underground. N.B If you are a Zimbabwean working locally or living abroad and have developed a game, please get in touch. I’d love to review it. In 2013, 40% of all downloads on the App Store and Play Store were actually mobile games and by revenue this translates to 70% of total App Store and Google Play. That’s right, out of a total of $10 billion in revenue, about $7 billion was realised from game downloads purchases and in-app commerce. These statistics do indeed shed a different light on gaming; leisure is good business. Africa-wide the case is slightly different. South Africa, Nigeria and Kenya have developed some of the better mobile gaming apps. 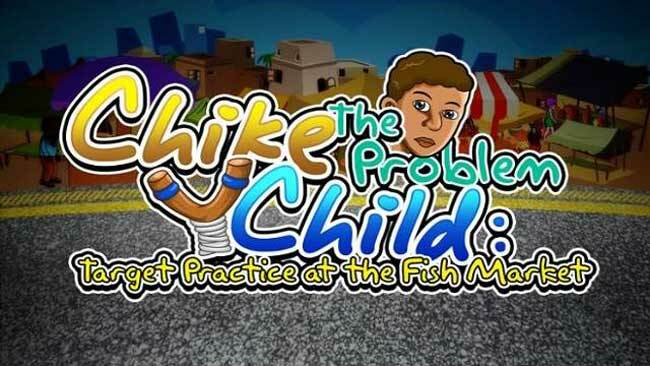 Nigeria has one of the fastest gaming cultures in Africa developing games such as Chike The Problem Child (iOS), Sambisa Assault (Android), Ole2 (Android), Mind Dead (Android) and Table Soccer. South Africa is dominated by offshore gambling applications but has also succeeded in non-money games in the likes of Toxic Bunny and Thoopid. Kenya’s Ma3Racer and Matatu from Uganda are some of the titles that have received wide acclamation across Africa. Back home, I believe we have a rich and lucrative social canvas from which we can draw what could be successful titles. Just look at how our comic book scene has been inspired by the same domain. The success in a game in a particular society is usually attributed to how familiar the concept is to that society. Some of the challenges in apps in Zimbabwe, of course, relate to the smartphone penetration, the prohibitive data costs and an absent app culture. These can be overcome if we consider how other applications are exchanged and marketed in Zimbabwe, such as the street applications vending. In particular, the pyramid type of exchange among the younger urbanites can see an application sweep the whole education population from school to tertiary in a very short space of time. The free WiFi free download promotion is another successful marketing strategy that can be deployed by any serious gaming and applications developers. I strongly believe however that a more diverse school of thought could focus on developing Zimbabwean games, not necessarily for the Zimbabwean market, but for the international audience. I’m not good with originality, so I know that there are developers who might be struggling with that out there. But in the interest of stirring creativity and a discussion of what might work, here are some fantasy titles that could succeed as both parodic and socio-commentary. The game is an embellishment of the chaos in the urban areas due to Kombis and Pirate Taxis ferrying commuters. The game may come in two versions, Road Hustler Kombis and Road Hustler Mshika-Shika. Kombi edition offers an assortment of minivans while Mshika-shika edition has a series of small vehicles carrying up to 8 passengers. Characters include drivers, touts, conductors, rank marshals and commuters. The purpose of the games is to collect as many fares as possible in the different routes provided in order to reach set targets. As one collects more money they can afford route upgrades, vehicle upgrades, pimp their rides making the vehicle more marketable, pay traffic fines etc. Penalties are applicable for road traffic code violations. One would lose the game if they cannot raise target money, committed an offence and they cannot pay a fine, caused the death of passengers, ran out of fuel. The villains in the game are the police, council police ZINARA and ZBC. They are armed with spike traps, tyre clamps and speed traps. Watch out for toll gates, road blocks and hidden police especially intermingling with commuters. Cheats available allow you to bribe your way out of a situation. This game is about the current scourge of vending in the cities. Its main is a vendor who must go about collecting coins from undesignated spots and in the process evading police, city council, soldiers, ZIMRA and extorting mobs. This is a soccer administration game that allows players to manage a successful football club, acquiring properties, buying and selling players, engaging coaches, technical teams and so forth. The performance of the teams, the characters and setting follows the actual previous season results. For example, the title defenders would be Dynamos FC. This is an online game based on the Zim dancehall phenomenon. Players choose characters from top Zim dancehall MCs and have to post the most creative lyrics. The dancehall clash levels replicate the typical MC battles that Zimbabwean society has become accustomed to. I believe Zimbabwe is rich with introspective situations that are peculiar only to Zimbabweans but would definitely be amusing to anyone interested in downloading a Zimbabwean made game. Perhaps this is a call for developers recently trained from institutions such as Muzinda Hub with business and entrepreneurial skills to consider breaking barriers into the gaming industry both locally and internationally. The article would have been 5 times more useful if you added the respective Play Store/iTunes links for the games you reviewed. Interesting how independent developers all have the idea to make that kombis game – although no one goes ahead to actually do it. Great article, it’s in line with something we are working on and I’m glad to see other Zimbabweans thinking about this rather bare space.